www.mitf.net Has been there for some times, though not very active. It has done loads of contributions to development of thaana on computers. Starting from the Unicode fonts and information and small tools. A lot of others who have contributed to implementing thaana on various levels into applications and OS's has used www.mitf.net on many projects. It was sad that we did not have many who contributed to this project, and it has kinda faded off. Jaa has been one of the contributors to MITF.NET and also seems to be still active in his contributions and developments. I am really happy to see such projects. His recent work include the online radheef using AJAX. I guess still there is a lot of work to be done, and not many are active. We can't depend on NCIT to get them done. Until now its been done by individuals and I guess that will be the case too, just that its not moving as fast as it should be. FC5 is out and ready. I still have not tried it, but soon will upgrade my OS from FC4 to FC5. Thaana pages are started off in wikipedia. Its slowly growing. It would be great if we can have more contributors. UI is important, one of they factors to the success of a application. Users always seem to like applications which are "user friendly". This drives developers to work more on the UI's and also to follow some common standards. Windows seems to be the most leading OS when it comes to UI's. I will agree to the fact that OS X is far better. The reason why I would say Windows is leading, cos its the most acceptable thus far to most people. The concept of software should be seen more as cars. Once you learn how to drive one car, you should be able to drive the rest. Does not matter who manufactures the car. If this was the case, it would be perfect, slowly I think this is becoming a reality. Web applications have taken a good side to this. 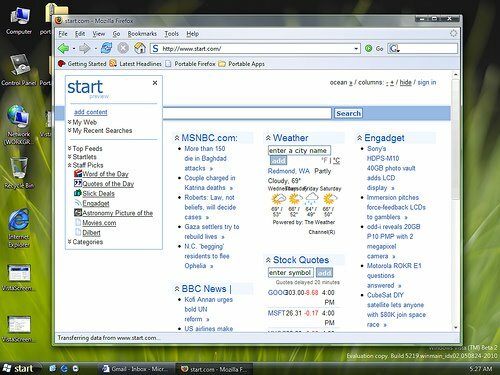 Most web based applications look and feel the same, regardless of the OS. This is also true for Java based applications. If this was the case for all the rest; things would have been so much better. 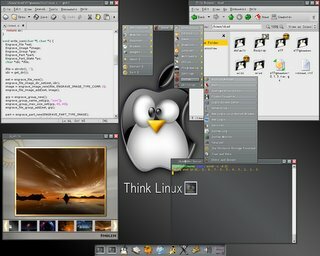 In the Linux world, the UI issue is not really going where it should go. 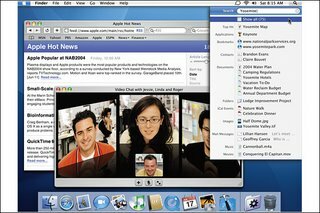 I agree over the last 3 years or so we have seen a major leap in the GUI's. 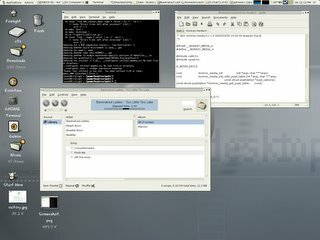 KDE and GNOME has improves a lot. But the fact that KDE is based on QT and GNOME is based on GTK again raises so many issues, which should not be. Application portability has been limited due to the presentation layer of applications. Most of the code relating to the business logic and others can easily be ported, but when it comes to the UI's, there you get the problem. If only all OS's followed some basic standards. Life would have been so much easy. Maybe I am dreaming. I took the 23:30 ferry to home. When I got here; it was raining. Waited for a while; for the rain to stop, then thought i'd take a walk. I should do this more often; if only I can control the rain too. Ah! I can feel that this is a good start of a good week end. this is a new entry into the mv blogs; its a good read. Sometimes taking very sensitive topics of the social issues that most of us tend to ignore. Its a sad thing, but I think ruby has done what java did to smalltalk. Python was the other side, the real world, people who took the red pill reached there. And.. In the end.. It did not matter. According to many python would have taken over the world, but there were a few small flaws that prevented it from happening. Every few years Languages are replaced with better ones. Like C was taken over by C++, and then it being taken over by Java. That's how it works. There is not one or two who compete in this race, and brains behind them. But then again I know its not the language what matters; if you know how to program language really does not matter much. This is true to some level, but if that's the case linux would have been developed with Perl or basic, instead of C. The tools you use DOES matter to some level, especially when it comes to developing enterprise solutions; where time is a factor and maintainability of code does give a fu*k.
Perl is almost gone, replaced by python and ruby. Perl was a good language, very good one to get things done fast. But a lot of the best features in Perl has been taken into python and ruby plus improved. Even as I write this I know there will be many who might disagree with me. But that's ok, Perl was very much used as a system scripting language, but now its almost replaced by python. Example the system administration scripts that come with Red Hat Linux and other flavors of Linux. Like wise I think Ruby will make its way on top of Python. I can almost see that happen now. I've used python for almost 6 months now for most of my small time scripting needs, and I loved it. I will still continue to use python. After spending some time playing with ruby I feel ruby will soon take over. Ruby seems to have originated from Japan. Ruby is a killer language of today, it has taken all the good stuff from Perl, smalltalk and languages like lisp. One of the advantages I found with ruby is that its easy to learn and its really a neat language. Ok; the new cool thing (well not really new) , the most talked on the web now is AJAX. Seems AJAX is taking over the web. So many concepts about web development has taken a big turn with technologies like AJAX and web development frameworks. Its almost a month since I quit smoking. I found another potential addiction; which is Red Bull. Red Bull is the brand name of an Austrian carbonated soft drink. Sold as an energy drink to combat mental and physical fatigue, it contains, per 250 ml serving, about 27 grams of sugar, 1000 mg of taurine, 600 mg of glucuronolactone, B-complex vitamins and 80 mg of caffeine (the average cup [8 oz] of coffee contains 100 mg or as much as three cans of Coke). 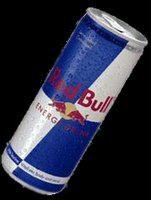 Seems its not recommended to consume more then 2 cans of Red Bulls per day. I also came across the following notice. Cautions: Contains caffeine. Not recommended for children, pregnant or breast-feeding women, caffeine sensitive persons or to be mixed with alcohol. Do not consume more than 500 ml per day. A friend warned me about it, and that was the reason why I looked into it. This can't be. I mean why is always have to be this way. Things you like and enjoy always seem to be bad for you? This is not possible. I had a chat with primary0 two nights back, we talked about search engines. He suggested that yahoo and msn is some times better then google... I have never tested this before. Anyway I have decided to experiment based on that chat we had. A google-less week. I guess its time. I have decided to move away from being an IT guy, as far as my job is concerned. Loads of reasons, but I think the move is good. Its anyway closely related to IT. My experience in IT and teclcoms would help me with this new job that I will be taking up (and the reason why I got it). Guess this year is a year of changes, and so far it's been good. Kinda feel paranoid about the whole thing, but I think I should move on. The new job; if all goes well will be more exciting. I know there will be loads of new stuff to learn and experience. Plus most of all there is a lot I want to get done, and challenges to myself. To bring ideas into reality. Almost a month, and I think I am in love again. Ruby on Rails is the answer to my prayers. The type of framework that truly makes "life easy", and increases productivity. With things like added and easy use to ajax functionalities; I can now conclude the days of form based programming is over for me. A guy in my work place wants me to go to JBoss with java, but after working on ruby on rails; no way. I refuse to spend more time coding UI's and DB stuff as I use to.